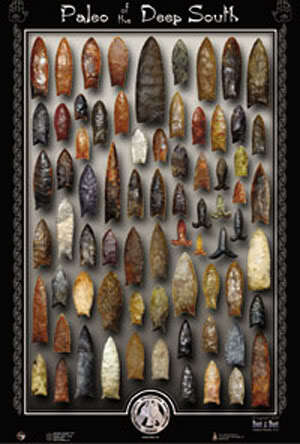 Featuring the BEST OF THE BEST paleo types of the Deep South, with full color examples of each type shown actual size. Perfect for framing. $14.95 plus $6.95 shipping. 24" x 36"